Mélina Mangal visits Scroggs Elementary! Flyleaf Books is proud to bring author Mélina Mangal to Scroggs Elementary for The Vast Wonder of the World! 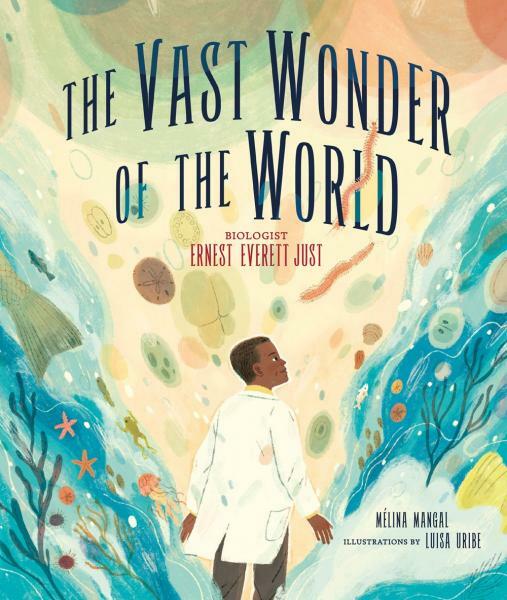 Ernest Everett Just was not like other scientists of his time. He saw the whole, where others saw only parts. He noticed details others failed to see. He persisted in his research despite the discrimination and limitations imposed upon him as an African American. His keen observations of sea creatures revealed new insights about egg cells and the origins of life. ​ Pre-order books for a special 10% discount! Orders must be placed by 9pm the day before the visit. Choose "Deliver to my child's school," pay online, and we'll deliver the books to school for you--there are no shipping charges! We will apply the 10% discount before your card is charged.